If your fingers are toastier together, opt for the 686 Mountain Mitt, offering the same great features of 686's waterproof gloves in a mitten design. The short, slim cuff fits well under jackets, with adjustable Velcro cuffs that are easy to grab with your mittens on. The outer shell fabric has a DWR waterproofing finish with an inner, infiDRY® lining above the light Fiber Fill™ insulation. The Mountain Mitt features SoundTouch™ touchscreen-compatible technology and has a slightly bent fit to mirror your natural hand shape. 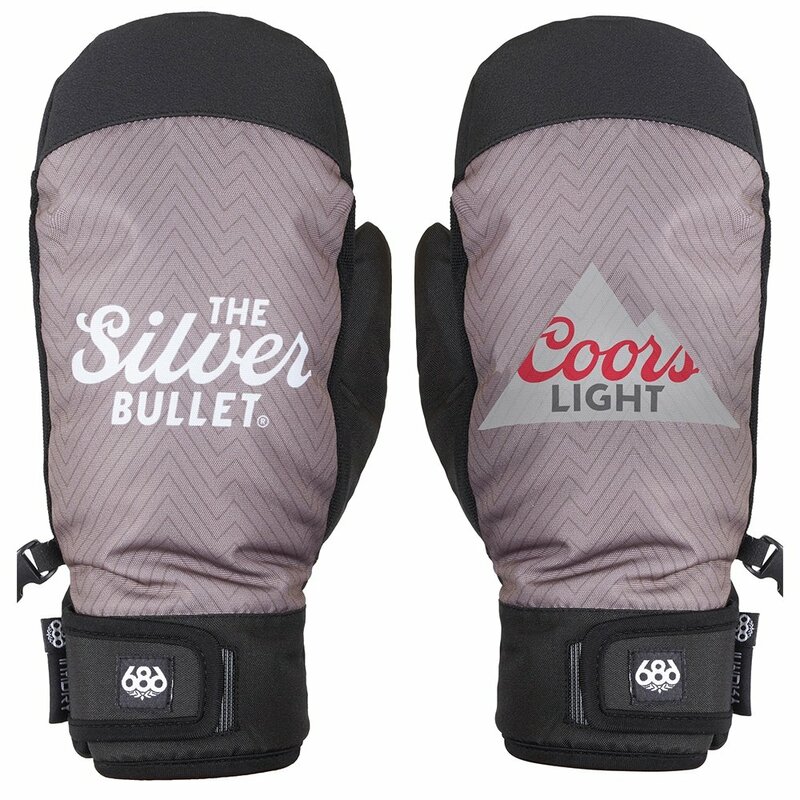 This men’s ski mitten has 10K waterproofing and breathability ratings, plus a light fill. The Everwear™ grip palm is anti-slip, designed for high energy activities. This mitt is touchscreen compatible and has easy-grip adjustments, so you can go all day without removing your mitts.